San Francisco-based Plenty Inc. is taking bold action: they’re moving farms out of rural areas and bringing them to the heart of the city. Except that they’ve flipped the farms’ orientation – they’re doing it vertically to work around the problem or scarce arable land. 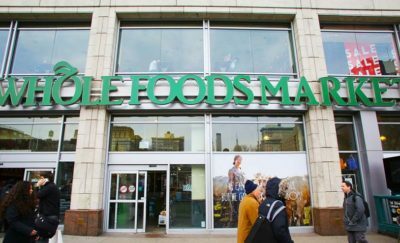 Barnard is already in talks with government officials from at least four continents as well as top honchos from Wal-Mart and Amazon. Plenty Inc.’s CEO Matt Barnard is out to change how society grows and eats produce. 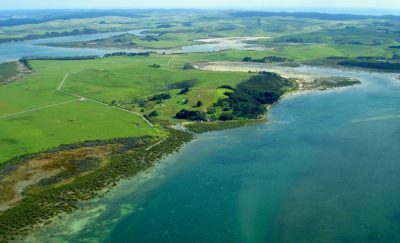 Instead of growing crops in field, he advocates for planting vertically to save space and eliminate the need to have large parcels of land before one can grow food. This is an ideal scenario for people living in cities, where fresh produce needs to be transported from rural areas. Ferrying produce from the mountains or rural regions adds to cost and can cause delays when weather conditions aren’t favorable. 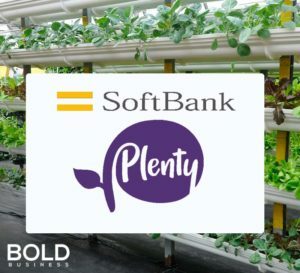 Plenty Inc.’s bold idea has received generous backing from Softbank, one of Japan’s largest telecommunication companies. Headed by mogul Masayoshi Son, the company bankrolled $200 million into Plenty’s coffers so it can further its plans of creating vertical farms in around 500 cities worldwide. This move is hailed by many as the largest agriculture tech investment in history. With massive farms operating within the city, fresh produce can reach tables in a matter of hours rather than days. This significantly lowers food costs and stabilizes food supply for years to come. The idea is bold and definitely long term. Bloomberg reports that Barnard is already in talks with government officials from at least four continents as well as top honchos from Wal-Mart and Amazon. The first farm in the Bay Area is set to start making deliveries to San Francisco grocers by the end of the year. Unlike traditional farms, Plenty’s system uses 20-foot vertical poles where the plants shoot out horizontally. The poles are lined up next to one another with roughly four inches of space in between. These poles are surrounded with infrared cameras and sensors which enable the staff to monitor conditions periodically. There is a system in place which can adjust LED lights, air composition and humidity within the indoor farms. There’s no need to use soil because water and nutrients are fed into the top of the poles and gravity takes care of the rest. The excess heat from the light also rises naturally to vents in the ceiling. Barnard says that working with physics rather than against has allowed them to save a lot of money. Barnard’s company believes that growing rooms or vertical farms will be able to produce quality organic food at very cheap prices. The idea of vertical farming isn’t exactly new, but where food is grown appears to be Plenty’s biggest advantage. Rather than growing produce far away from where consumers are, it will strategically place these fruits and vegetables within a few minutes of customers and grocery stores. As the current scenario stands, fruits and vegetables grown in California and Arizona often need to travel roughly 2,000 miles before they get to the store. The produce then sits a couple more days before it is picked up and eaten. This leads to less than fresh fruits and vegetables and significantly more waste. Backing from Softbank gives Plenty the funds they need to expand across the nation, as well as helps them establish a reputation as a company with a growth model that is to be reckoned with. Plenty’s enclosed system allows fresh organic produce to be produced almost anywhere, and that is a huge change that will have bold impact on how we grow and consume food.